"Everything I do has to be perfect, everything I cook has to be delicious! So, yeah, sometimes I freak out to people when they don't do the best they can." Although born in Scotland Gordon Ramsay did most of his growing up in England and if you read his autobiography, Humble Pie, you will find it was not a happy childhood and he wasn't particularly interested in cooking! In fact it was football that was his passion. Spotted playing football for Oxford United in an FA youth club match by a Glasgow Rangers scout he was, after completing trials, signed by the club as a professional footballer. But after suffering a serious injury that left him unable to regain full fitness he was released from the club. Not having got enough O levels at school left him with limited options so with no great ambition he enrolled at catering college. His first experiences of a professional kitchen came from a couple of weekend jobs - first as a washer up in an Indian restaurant and then washing up in a Banbury hotel. This was when his interest in becoming a chef started. "I was in the kitchen, listening to all the noise, and I was fascinated. I couldn't believe the way people were shouting at each other. I was working like a f . . . ing donkey, but the time used to fly by. I was enraptured." Contrary to public perception it wasn't straight into top restaurants working with famous chefs! On leaving college he first worked as a commis chef at the Roxburgh House Hotel with its pink dining room. After six months he left for a small Oxfordshire country pub where, as an inexperienced chef, he was in full charge of the kitchen . . . perhaps the taster for later ambitions. After a hurried departure, by his own admission through his own transgressions, he moved to work in London. After short spells at the Mayfair Hotel and then Maxine de Paris, Ramsay joined Marco Pierre White in the early days of Harvey's in Wandsworth where he worked from 1989 to 1991. After a couple of years he moved to Le Gavroche to work alongside Albert Roux. This was followed by three years of working in France in the kitchens of Guy Savoy and Joël Robuchon. Here he was able to enhance his expertise in classic French cooking. Exhausted after three years of working in France, where he started at the bottom of the pile again, it was time for a break so Ramsay signed up as personal chef on the private yacht of an Australian TV mogul. A year later he was back in London as chef of the newly opened Aubergine, on the former site of La Tante Claire, in Chelsea. Aubergine proved a huge success and was awarded Michelin stars in 1995 and 1997. 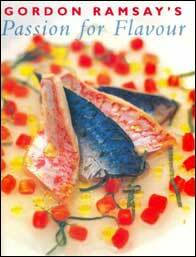 In 1998 Ramsay fell out with Aubergine's backers and left to establish Gordon Ramsay Restaurant, the same year as he published his first book 'Passion for Flavour', followed a year later in 1999 by the publication of his second book 'Passion for Seafood'. 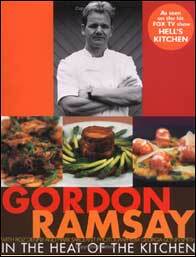 On 19 January 2001, Gordon Ramsay Restaurant gained its third Michelin star. In the same year, it was voted 'Top Restaurant in UK' by the London Zagat survey and named 'Best Fine Dining Restaurant' in the Harden's guide. 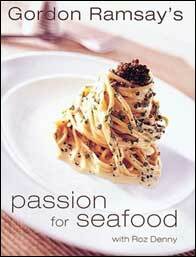 In 2002 and 2003 it was named as one of the five best restaurants in the world in a poll run by Restaurant Magazine. 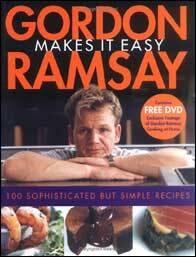 Ramsay's first taste of TV exposure was on Channel Four's controversial 'Boiling Point', a forerunner to 'Hell's Kitchen' which made him a household name. 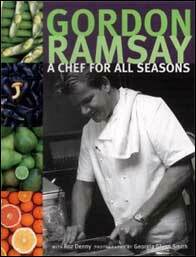 A third book, 'Chef for all Seasons', was shortly followed by 'Beyond Boiling Point' a sequel to Channel 4's original documentary. In 1999 with his protégé Marcus Wareing he opened Petrus, in St James's. Within seven months it had won a Michelin star. On one memorable occasion six City brokers splashed out on a good lunch at Petrus, notching up a bill of £44,000. Ramsay is said to have thrown the food in for free when the customers ordered their first bottle of Chateau Petrus at the astonishing sum of £12,300. 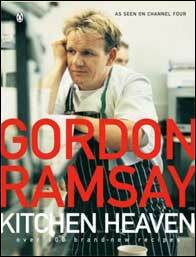 In 2001 he opened Gordon Ramsay at Claridges, which gained a Michelin star in 2003. 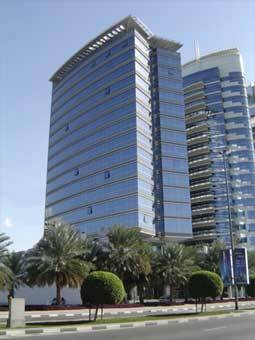 In 2002 Gordon Ramsay Holdings Limited took over the food and drink operation at The Connaught Hotel, a member of the Savoy Group. In 2004 'Menu' at The Connaught won its first Michelin star. 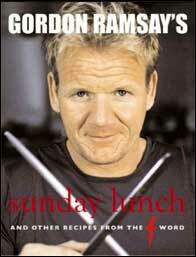 Also in 2003, Gordon Ramsay Holdings opened The Savoy Grill, which achieved its first Michelin star. The opening of Boxwood Café at The Berkeley alongside the new Michelin star Pétrus, which had moved from St James's, followed this. Finally, Banquette launched at The Savoy in December 2003. In May 2004, Ramsay headed the series "Ramsay's Kitchen Nightmares," a series of four one hour programs where Ramsay attempted to rescue restaurants around Britain in need of immediate assistance. 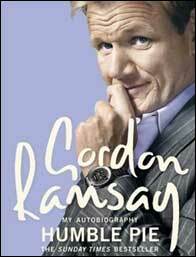 The series was launched simultaneously with Ramsay's recipe book "Gordon Ramsay Kitchen Heaven". This was followed by ITV's "Hell's Kitchen," where Ramsay was given two weeks to train celebrities into Michelin-star chefs. During the programmes he gave a variety of micro-celebrities a memorable tongue-lashing, notably former Conservative MP Edwina Curry and Coronation Street actress Amanda Barrie who was actually moved to hit him after provocation. Ramsey branded the celebrity chefs a 'bunch of whingers' and complained to the press that most of the stars "hadn't done a day's work in their lives". 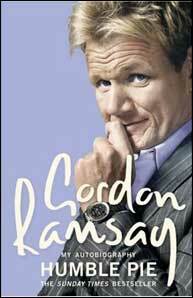 Ramsay has also enjoyed huge success in America with the television show Hell's Kitchen USA. 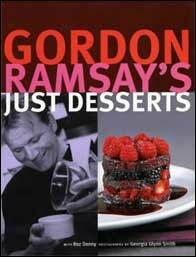 The American public love him and in 2006 expanded the Ramsay empire to America and has opened his restaurant in New York. 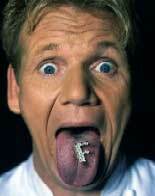 His most recent TV series, launched in 2005, is the F-Word. Each series has focused on growing your own food. The first series was Christmas dinner, which included raising his own turkeys, the second series of The F-Word was pigs and in the most recent series it was lambs that had been selected from a farm in North Wales. 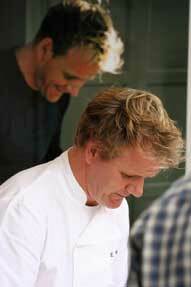 Another part of the programme is where a guest cooks a dish of their own, in competition with Ramsay. Blindfolded diners judge the dishes and, if the guest wins (as they did on several occasions), their dish is served at Ramsay's restaurant. In one notable show Sir Cliff Richard was invited to take part in a blind tasting on The F Word when he was asked to sample a glass of wine without being told it was from his own vineyard. The first one Sir Cliff thought was "amazing". Ramsay said. "Of course it was, it was a £400 bottle." But the second went down rather less well. Sir Cliff said, "That's rubbish. I wouldn't pay for that, it's tainted, it's insipid. It tastes like vinaigrette. I'd never buy that." For Ramsay, who likes nothing more than exposing posers who claim to know about food and wine, it was music to his ears. Allegedly Sir Cliff lent over and beckoned towards Ramsay with his finger and said, "Young man, go f*** yourself." Even Gordon Ramsay, the great exponent of the F word appeared stunned to hear it from the lips of a clean-living Christian knight of the realm whose idea of controversy is singing to the crowds at Wimbledon. In July 2006, Channel 4 announced that it had re-signed Ramsay to an exclusive four-year deal at the network, running until July 2011, so there is plenty more TV to come. Click on any image or on any title to go to Amazon.co.uk to order a copy of the book. "With regards to Michelin stars: Alain Ducasse has got three sets of three-starred restaurants, in New York, Monaco and Paris. So it's definitely possible. That's my goal." If you want to know more then the autobiography Humble Pie is a great read.